Used games have been a hot-button issue this year, and it looks like the discussion isn’t dying down anytime soon. In a recent interview with GameIndustry.biz, Ready at Dawn exec. Ru Weerasuriya had a few choice words for video game retailer GameStop. I think the problem is right now there are retail outlets that are really taking everybody for a ride. You can’t make a living at the expense of everybody else. Unfortunately, they’re not just making a living at the expense of developers but also the consumers because the consumers will see less and less games come out if developers can’t get revenue to make more new titles and keep going as a business. For the average consumer, buying a console for several hundred dollars followed by numerous $60 games is simply not feasible. The game has to be a true blockbuster to be worth 60 bucks for many gamers, and that means that a lot of AAA developers are feeling the pressure. Wouldn’t it be easier for consumers if they could buy a much shorter AAA experience for $20 or less? Telltale has certainly shown that episodic games like The Walking Dead can be hugely appealing and successful. It’s hard to argue with that logic when this year alone major AAA releases like God of War: Ascension, Gears of War: Judgement, and even Tomb Raider all sold well, but not well enough to justify their ridiculous budgets. And GameStop is definitely one of the profiteers of the market created by this need for $60 releases. 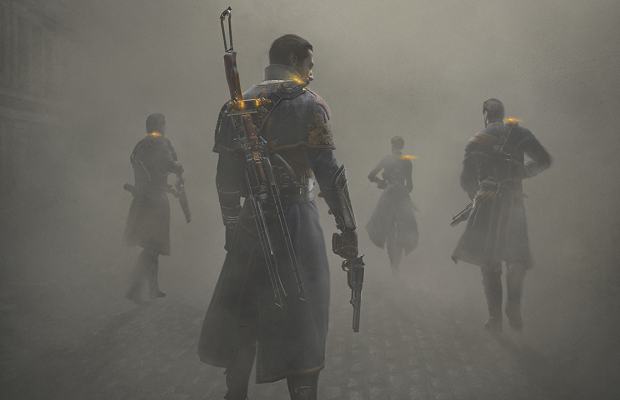 Ready at Dawn’s upcoming title The Order: 1886 is scheduled to hit the PS4 sometime in 2014. The game is set, as Weerasuriya describes it, in “neo-Victorian London.” In this world, the industrial revolution was spurred by the need to fight a centuries old conflict with inhuman enemies.